In a remarkable ruling, the Investigatory Powers Tribunal in the UK has concluded that the secret bulk collection of the communications data of UK citizens did not comply with the European Convention on Human Rights (ECHR). The judgment was made in response to a case brought by the campaign group Privacy International which argued that such surveillance methods were in breach of Article 8 of the ECHR which guarantees an individual’s right to “respect for private and family life”. In his ruling, Mr. Justice Burton concluded that the collection of so-called “bulk personal datasets” failed to comply with this article of the ECHR until November 2015, when it became public knowledge that they were being collected. He did, however, acknowledge that the introduction of what he described as a “more adequate system of supervision” now meant that the practice was, in his view lawful. Needless to say, the Home Office was quick to leap on the latter half of the judgment. “We are… pleased the tribunal has confirmed the current lawfulness of the existing bulk communications data and bulk personal dataset regimes,” it said in a statement. But they failed to make comment on the startling conclusion that the British Intelligence have been illegally collecting the personal data of British citizens for many years. The failure of the Home Office, Intelligence Agencies, or anyone from the Government to comment on this is remarkable. It is also likely to fuel suspicions amongst a sceptical British public that such intrusive surveillance remains the norm, regardless of whatever supposed safeguards are now in place. It is rulings like these and the high-handed responses they get from those responsible, that lead more people to take their online privacy into their own hands and sign up with VPN providers. What happens to illegally collected data? There are two other questions that this ruling raise as well. Firstly, what is going to happen to the vast quantity of data that British Intelligence Agencies have collected illegally. Will it now all be permanently deleted? There is no mention of this in the judgment, although it is something that Privacy International can now be expected to pursue. 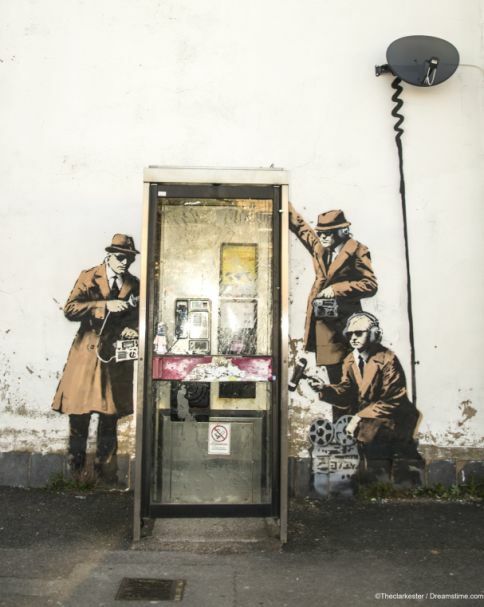 Even more pertinently, what impact will this ruling have on the Government’s controversial Investigatory Powers Bill, which is currently making its way through Parliament? This is expected to be passed in a few weeks’ time, despite facing some opposition in the House of Lords (as we reported last week), but it is just possible that a damning ruling such as this could put a few spokes in the wheels.